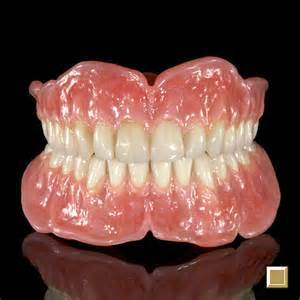 Full or complete dentures are used to replace all missing teeth in an arch. Patients who are already edentulous may have an old prosthesis that needs replacement. We recommend a new denture be made at least every 5 years. Our goal is to keep as many healthy teeth in your mouth as we possibly can. In doing so, we can use natural teeth as anchors to support other missing teeth in the mouth. The partial denture is the most affordable way to replace multiple missing teeth in a dental arch. They can be for the maxillary (upper) or mandibular (lower) arch. We use three different types of materials when making partial dentures, each material has a distinct advantage, we will recommend what is best for you. 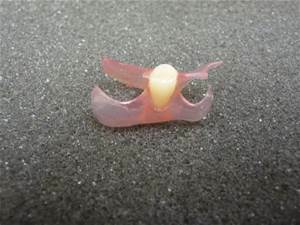 A flipper is an all acrylic partial used to replace a single anterior tooth,most often times as a transitional or temporary prosthesis while an implant integrates. 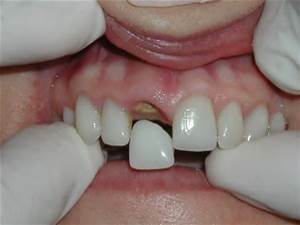 A Nesbit partial replaces a posterior unilateral tooth or two, much like the flipper does in the anterior. Denture repairs can be done in one day or overnight, depending on the type of repair. Our Dental Lab will do the following procedures.